One of the pair of Caltech scientists who announced in January that there was a very high probability that a 'super-Earth', dubbed 'Planet Nine', exists beyond Neptune (1,2), has noted that a newly discovered eccentric Kuiper Belt Object cuts down the possibility that they were wrong still further. Dr Whitmire's original work concentrated on the existence of a multiple Jupiter-mass object lying in the very outer reaches of the solar system which affected comets in the outer Oort Cloud, sending periodic showers down towards the central solar system (8). We might call such an object a sub-brown dwarf these days, or perhaps a 'Class Y Ultra-Cool Brown Dwarf', in astronomical parlance (9). It's the object I believe to exist, too - an object I call the Dark Star. I think it's much closer than the Nemesis theory originally described, and that there may be good reason to believe that the presence of this object is obscured by a dusty nebula, preventing clear detection in visible or infra-red light (10,11). 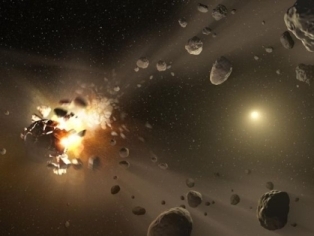 Such thinking would seem to support Daniel Whitmire's claim that a Planet X body might periodically graze the outer edge of the Kuiper Belt, occasionally sending showers of objects in all directions whilst shaping that very belt. However, the fact is, we still don't really understand what's out there beyond the Kuiper Belt. Science goes through phases of favouring various hypotheses, and until the last couple of decades or so was pretty much set on destroying the very concept of Planet X, and all who foolishly were to associate themselves with it. 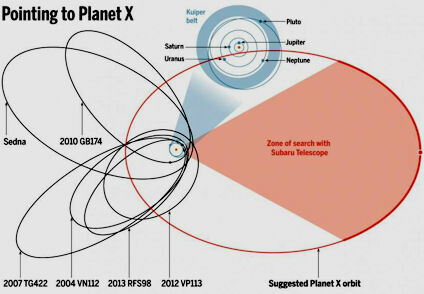 The 'belief' that a Planet X body might exist was confined to the fringes. Planets couldn't be found out there, it was declared, because theory of solar system planet formation simply wouldn't allow for it, and previously declared anomalies could be explained away (16). With the discoveries of anomalous extended Kuiper Belt Objects, that thinking has gradually changed, to the point now where the scientific community is broadly expectant of a major planetary discovery in the next few years. But I think it's worth noting that whatever that discovery might bring, it doesn't mean that that's necessarily the end of the hunt for new planets in the outer solar system. Indeed, breaking through that initial scientific taboo opens up the field to all manner of possibilities. 16) Myles Standish "Planet X – No dynamical evidence in the optical observations" 16th July 1992, Astronomical Journal 105 (5): 200–2006. Bibcode:1993AJ....105.2000S. Last month, I discussed the assumed orbital period of Nibiru, 3600 years, and how Zecharia Sitchin may have arrived at that figure (1). This included a description of a journey to 'Olam' through seven heavens of 500 years each mentioned in a conversation between a heretic and the Jewish savant Rabbi Gamliel. Sitchin may have been influenced by this Hebrew text when he considered the likely orbital period of Nibiru/Marduk, a Planet X body which he described from his reading and interpretation of various ancient Sumerian texts (2). Talk of the return of Nibiru, particularly as a potentially catastrophic event, has been widespread for decades. It seems to feed into a feeling of dread of the 'End of Days', which may be a peculiarity of our times, or perhaps has always been with us since ancient times. Either way, the concept of Sitchin's Nibiru has become a magnet for all manner of claims and predictions of imminent catastrophe raining down from us from the heavens. You will note that this celestial entity is a complex, multi-coloured affair with a retinue of seven other ‘stars’ in its wake, revolving around it. These would presumably be seven moons or planets orbiting a central Planet X body, which would presumably be quite sizeable. The 70 days mentioned would then describe the visible period of the planet/star’s perihelion passage around the Sun, during which time its own system of planets/moons is visibly revolving around itself. There are a number of similar descriptions from Jewish texts available on the Internet (5). What’s fascinating for me is that this Dark Star symbolism (a large central planet (sub-brown dwarf?) contained within a colourful aura, and accompanied by its own system of worlds) is associated with a returning Messiah, and was written about during an historical period of time when there was a great deal of expectation about the imminent coming of a Messiah. Sitchin's original timings for Nibiru included the date 3760BCE, which would then have placed the next return to 160BCE, during the Graeco-Roman period. Sitchin later pulled the date of the last return back to coincide with the destruction of the First Temple of Jerusalem by the Babylonians in the 6th Century BCE. There does not appear to have been an historic record of a return of this celestial body on either occasion, however. Perhaps that is because (a) it simply doesn't exist, (b) the orbital period is much longer than Sitchin suggested, (c) it failed to appear as predicted, leading to a sense of loss and disappointment during a period of Messianic fervour in the Levant. Probably much like today, then. I suspect the truth of this lies in the dissemination of ancient knowledge down through various cultures through history. When the Babylonians sacked Jerusalem and dragged much of the population of Israel off into slavery, they likely imparted much of their knowledge (which they themselves derived from the Akkadians, and Sumerians before them) to the teachers and leaders of the enslaved clans of Israel. The symbolisms thus found new life in Jewish texts, many of which were compiled around that time. Many took on a predictive element within mystical passages. What's important is where these passages were initially derived from, and the consistent descriptions they provide us of this rather unique celestial phenomenon. Again, it's little wonder that Zecharia Sitchin, himself of Jewish descent, would be influenced strongly by such imagery. However, I think that the orbital period of Nibiru, which he pegged to the Sumerian Sar of 3600 years, likely needs re-considering. This entity is probably much further out in the solar system than generally thought. Did Humans Kill Off Homo Floresiensis? There are three sub-species of humans, all now extinct, which lived alongside modern humans, within the last 100,000 years. They are the Neanderthals (mostly of Europe), the Denisovans (or Siberia) and the 'Hobbits' (of Indonesia), known by their scientific name Homo Floresiensis. 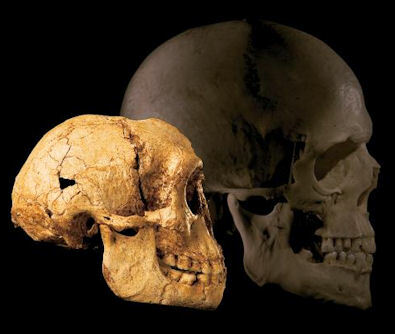 The first remains of the latter pygmy hobbits were discovered in 2004, in a cave on the Indonesian island of Flores, and bared some resemblance to Homo Erectus, but from a completely different era (1). It was thought at the time, from what were very carefully conducted archaeological digs, that some of the hobbit remains dated from only 13,000 years ago, around the time of the end of the last Ice Age. The final dating, of around 50,000 years ago, places their demise in the same kind of time period as human migrations into South-east Asia. None of this solves the mystery of the nature of the hobbits, whose very classification as a separate sub-species of human is still subject to some scholarly debate. Perhaps they are a direct descendent from Homo Erectus, evolving in isolation in Indonesia? Perhaps this isolated 'tribe' of pygmy humans suffered with a genetic abnormality causing microcephaly? If you want to go down the Sitchinite route, then one might imagine that the hobbits are remnants of the hominins who hadn't been messed with. What seems likely, however, is that, as with so many other species on our planet, their downfall came in the guise of us. The planet has a minimum mass twice that of Jupiter and orbits a star known as HD 20782, which is part of a wide binary star system with HD 20781. 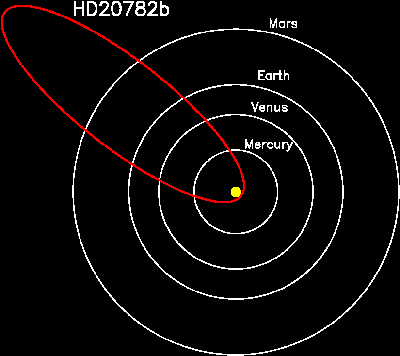 Incredibly, studies of the system showed that the orbit of HD 20782b displays an eccentricity of 0.96, a flattened ellipse which is the most extreme yet to be discovered (1,2). Yet, the very pace of the perihelion transit this planet experiences as it whips past the star may be its saving grace - it's is simply moving too fast, the planet's discoverers think, to be stripped of its atmosphere like many of the so-called 'hot Jupiter' class exoplanets. 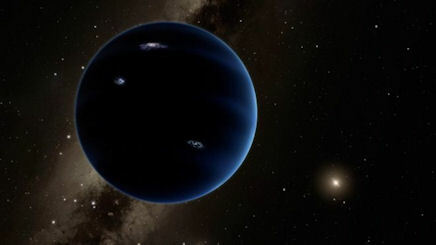 This planet creates a fascinating precedent for a hypothetical highly eccentric planet such as the mythical 'Nibiru'. 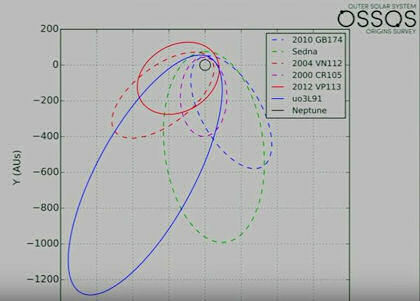 Of course, the dynamics of the solar system compared with HD 20782 are very different. HD 20782 is part of a binary star system, where our system is (presumably) not. "Extrasolar planets like HD 20782 contain a wealth of questions for astronomers, [SF State astronomer Stephen] Kane said. "When we see a planet like this that is in an eccentric orbit, it can be really hard to try and explain how it got that way," he explained. "It's kind of like looking at a murder scene, like those people who examine blood spatter patterns on the walls. You know something bad has happened, but you need to figure out what it was that caused it." These kind of considerations are not significantly different from those mooted by Zecharia Sitchin for Nibiru, as outlined, he argued, in the Babylonian creation epic Enuma Elish (3). 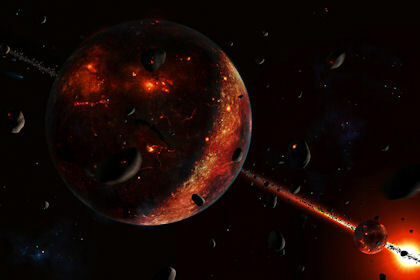 Catastrophism early in the history of a star system disrupts its smooth flow, potentially perturbing one of its planets into a highly eccentric orbit. I received some correspondence recently from an anonymous writer who was discussing the length of Nibiru's orbit with respect to the Babylonian Sar (1). In his/her email, Caesar's comet came up - an event which is said to have taken place in 44 BCE, shortly after the assassination of the Roman dictator, Julius Caesar. 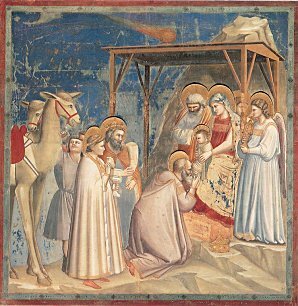 The appearance of this star, thought to be a very bright, daytime comet (indeed, possibly the brightest comet in all recorded history), was recorded by the Romans and the Chinese - although there are actually very few descriptions of such a remarkable comet at the time it took place, which has led some scholars to doubt that this was really an historical event (2). it is said to have appeared for about 7 days, and may have had a magnitude as high as -4, similar to Venus at its brightest. This comet, if such it was, is not a short-period comet, and may have either disintegrated during its perihelion passage, or returned back to the outer solar system (at which point it may be about 800 AU away by now. The deification of Julius through the incorporation of this flaming 8-rayed star was featured on a famous coin, also minted during Augustus' reign, c.19 BCE (5). I've had a long-time interest in whether there was a sighting of an anomalous star during the Graeco-Roman era. This stems from Zecharia Sitchin's initial assertion that his proposed Planet X body Nibiru appeared in the skies in 3760 BCE, and had a 3600 year orbit (the Babylonian sar spoken of above). Such a situation would place the next historical return of this planet around 160 BCE, during the period of history when there was a much-anticipated return of a messiah. I've speculated in the past that such an occurrence may have been connected to the alleged 'red Sirius' anomaly, of the same era (6). In other words, the anomalous appearance of a red Sirius in the Graeco-Roman period, which has been described by Ptolemy and Seneca. Unconvincing explanations for this anomaly (Sirius is self-evidently white) have been put forward in several occasions (7,8). The various descriptions of a red Sirius took place over a long period of time. I wonder whether the descriptions of this 'burning', 'fiery' Caesar's Star of 44 BCE might fall into a similar category? On the face of it, the simplest explanation for the appearance of this bright star is that its was a transient, long-period comet which disintegrated during perihelion. But, just possibly, it was a misidentified phenomenon which related to something else entirely. An excellent new article, "NASA space data supports citizens' observations: Meteor fireballs are increasing dramatically", written in January 2016, was recently posted onto the Dark Star Planet X forum during a discussion about an increase in meteor activity globally over the last few years (1). It's a terrific article, full of lots of supportive data and facts. A quite worrying trend quickly becomes clear: The number of meteors is steadily on the rise! An example was the so-called 'St Patrick's Day meteor' over Staffordshire this month (2). The author of the report, Dr Rose, argues two possible explanations: The effect of a Nemesis-type body, or that of 'Centaurs', upon the Oort Cloud of comets. The article is certainly worth a peruse, and will add fuel to the fire for anyone concerned about an impending catastrophic event. The arrival in our immediate vicinity of two probable comet fragments, which may be familial, on 21st March 2016 (3) raises the question further of just what exactly is going on right now? How are you? Thanks again for the signed copy of your book. I wanted to share a link to a very interested find. James Gilliland claims to have had direct contact with 340 year old Pleiadian's, 9th dimensional 8 foot tall Anunnaki women, who he claims are very beautiful. His contact has allowed him access recollections from previous lifetimes and he has stated that the planet Nibiru is now a dead planet, which no longer has the ability to sustain life, and that it was merely used as a temporary "vehicle" or space station. 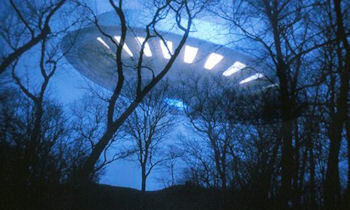 His ranch has some very hi-profile visitors to the volume of UFO activity witnessed there. Anyway, he speaks very eloquently in his videos on youtube, which I'd be surprised if you don't already know about. Here is one I watched recently. Speculation has arisen out of the scientific community that the once-voluminous presence of water on the now desiccated Martian surface may be explained by the Late, Heavy Bombardment. This catastrophic event, of unknown provenance, took place over a couple of hundred million years from 3.9 Gyr ago, well after the solar system should have settled down nicely. Essentially, so the idea goes, a mass attack of asteroids/comets on the inner solar system delivered, for a short time only, a ready-made ocean to decorate the Red Planet's northern hemisphere (1). In turn, this ocean of asteroidal water created some of the terrain features so puzzling to planetary scientists, like the polygonal cracks in the ground often imaged by the Opportunity rover. Presumably, this water is not lost, so much as buried as a frozen ocean now extant below the regolith? There is an assumption that this occurred many years ago, and that water in liquid form has not been seen since upon the surface. However, there is evidence for more recent liquid water than ~3.5 Gyrs ago (2), which may be connected to periodic extreme climate change due to Mars' variable orbital pattern and tilt (3). This new hypothesis is reminiscent of the late veneer theory which held sway for decades as the most credible explanation for the existence of Earth's oceans, found deep within the solar system's 'snowline'. That theory, which held that comets delivered water to the dry Earth some time after it cooled from its primordial, molten state, has taken a serious bashing of late (4,5). 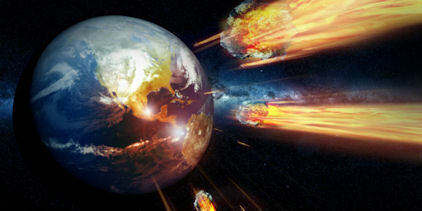 It seems as though the Earth had some water to start with, raising questions about how the Sun failed to blast it away? A very simple question to ask about this Mars scenario is this: If the asteroids are abundant in water, then why couldn't nearby Mars also be imbued with primordial waters, too? After all, it seems like Earth had its fair share. More likely, any catastrophism which blighted the Martian surface during the Late, Heavy Bombardment simply disrupted what was probably, before then, a rather lovely world in the making. 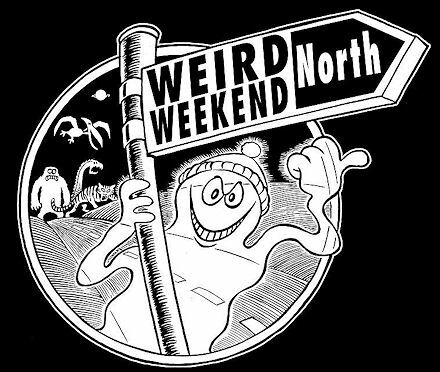 I will be speaking at the Weird Weekend North conference on Saturday 2nd April 2016 at Rixton-with-Glazebrook Community Hall, Near Warrington, Cheshire on the subject of "The Hunt for Planet X".